This painting, done in 1990, is one of several that shows Eva's love for cows. This piece of artwork was given to a wonderful family friend, Bob, who was a paraplegic. 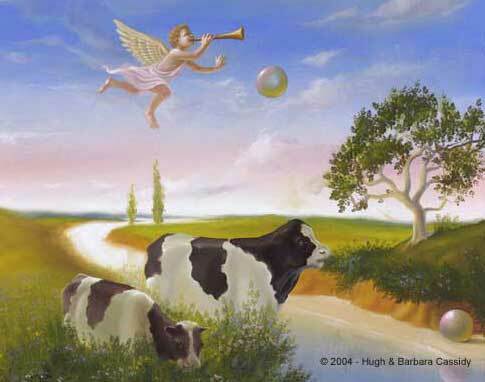 The guardian angel was meant to represent protection for both the cows, and Bob himself. 10 cards (4.5" x 6.25") & envelopes.